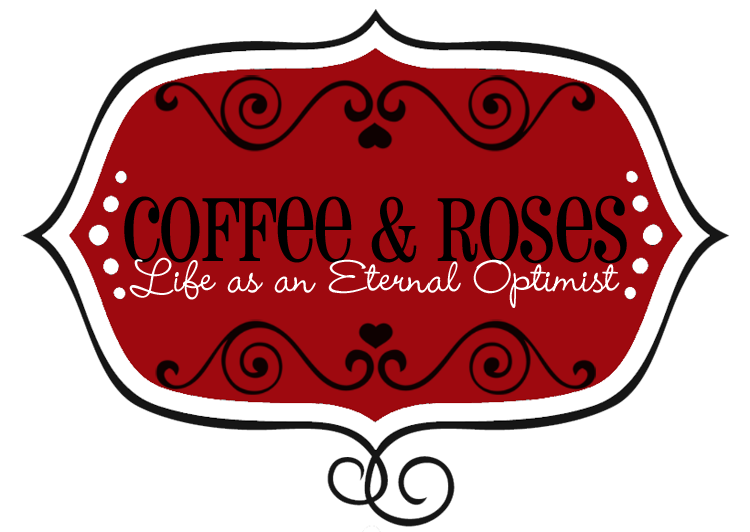 Coffee and Roses - Life as an Eternal Optimist: A BIG announcement! I've decided to launch a Short Story prize! The New Rose Prize 2011 is looking for new writing talent and is open to all unpublished writers. To enter, write a short story of any genre, maximum 2,500 words - amaze us, thrill us, make us cry, it's up to you. The closing date for entries is midnight (UK time) on Wednesday 31st August. I love writing short stories. As an art form they are truly special: the chance to take your readers on a brief journey into someone else's world. I began a short story blog in 2008, before I was discovered by my publisher AVON (HarperCollins) and writing these stories was a great way to learn my craft. I wanted to run something more than just a writing competition - to celebrate the wealth of writing talent that I know is out there. So, together with wonderful short story master Jamie Guiney (see Judges below) and brilliant author Ruth Saberton, we have created this special competition to celebrate the short story. 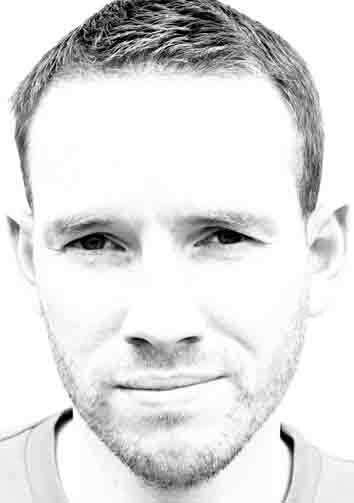 Jamie is also a graduate of the Faber & Faber Writing Academy and a member of the Newman Writers Group. His work has been backed by the Northern Ireland Arts Council through several Individual Artist Awards. He is currently working on a short story collection, a novel, and when time permits, a screenplay set during the Belfast Blitz. 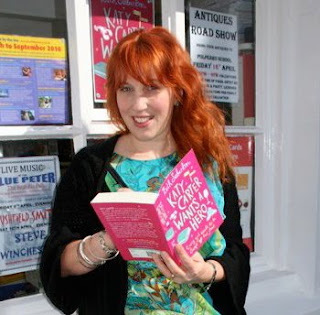 Ruth Saberton has written 8 romantic comedy novels in total under the names of Jessie Fox (for Little Black Dress), Ruth Saberton (for Orion) and Georgie Carter (for AVON HarperCollins). Ruth's first novel for Orion, Katy Carter Wants a Hero was nominated for The Romantic Novelists' Association's Romantic Comedy of the Year award this year. Ruth runs amazing writing weekends and retreats in her home village of Polperro in Cornwall - and the first prize for this competition is a place on one of her holidays. She has a real eye for pace, comic timing and great characterisation. Miranda Dickinson is a Sunday Times Bestselling novelist. Her first novel, Fairytale of New York was discovered on Authonomy.com and went on to sell over 107,000 copies, become a bestseller in Germany and Turkey and was nominated for the RNA Novel of the Year award 2010. 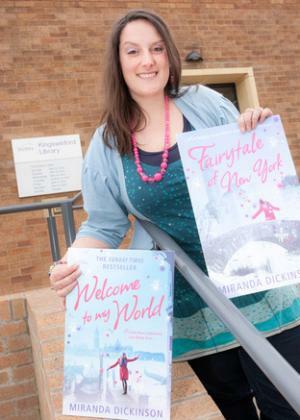 Her second novel, Welcome to My World became her second Sunday Times Bestseller. Miranda is currently writing her third novel, It Started With a Kiss (published 10th November this year) and is vlogging all year about the writing and publishing process of this novel on her blog. to arrive no later than midnight on Wednesday 31st August. Please write 'New Rose Prize entry' in the subject line. Your story must not have been published anywhere before and must be no longer than 2,500 words. I'll announce the winners on Coffee and Roses and will publish the top three stories there for everyone to see. Just to qualify the rules for submission: we are looking for UNPUBLISHED stories by UNPUBLISHED writers. If your stories have been posted on a Facebook page, blog or forum post you MAY enter it for the New Rose Prize. If your stories have been published in a magazine, book, compilation or any other printed matter then they DO NOT qualify for this prize. The New Rose Prize is looking for writers who have previously not been published - as a way of giving an opportunity to those who have not seen their work in print. Hope that clarifies things - and sorry for any confusion! Sounds brilliant, I will spread the word. Hi, just a quick question ... with "not published", do posting it for feedback on a discussion forum count as publishing it? Great! I will share this too. Sounds great, can I do a short blog post about it, will give your links. Have shared on my blog too (link via my name). I did just wonder if the author must be unpublished or just the story? It's not entirely clear to me from the rules. Just echoing Nick's question - are we allowed to enter if we've had stuff published in magazines but no book? Thanks - sounds a great prize! Thanks so much for all your comments and please accept my apologies for any confusion regarding submission rules. I've posted an addendum in the post above - please see this for clarification.